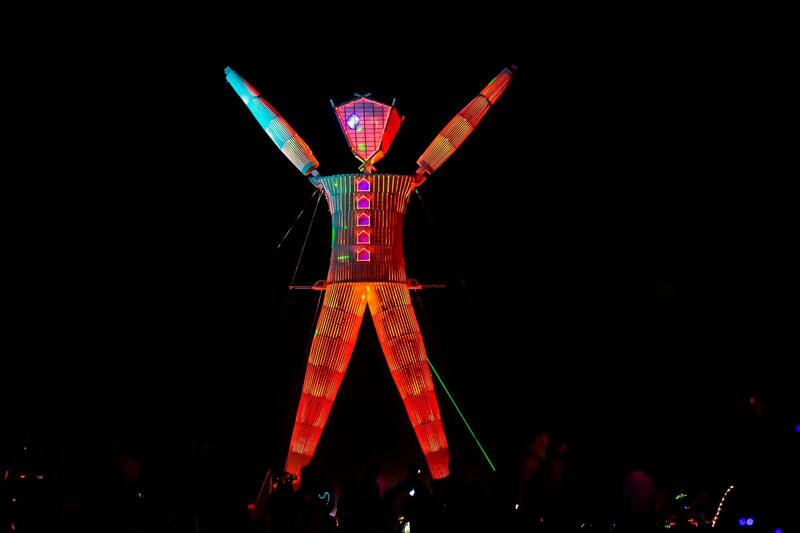 Burning Man is a fabled annual gathering organized as a traditional event for fanatical artists, architects, and individuals who want to leave banality of the society behind. The architect behind this plan was Rod Garrett who happened to be a close friend of the founder, Will Roger. 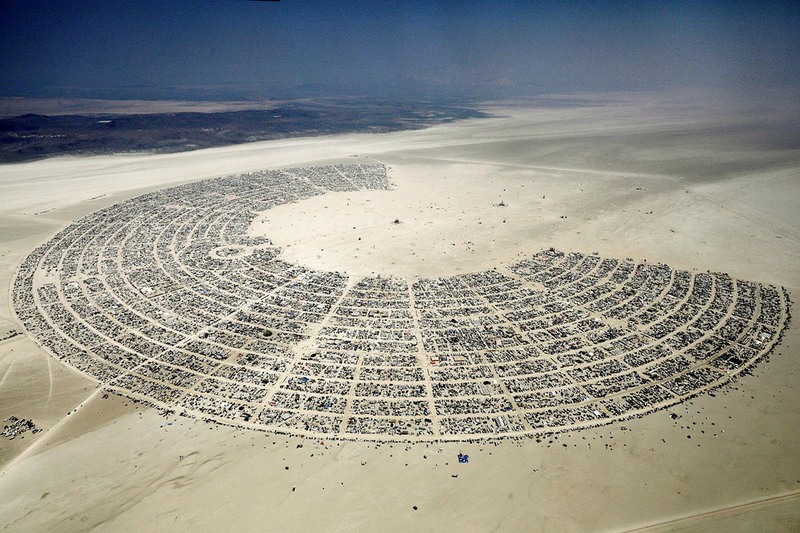 Mr. Garett had built this famous Black Rock City, in concentric semi-circles. The layout is made in an iconic horseshoe appearance. A genius plan of creating a city which was expressive, practical and inspirational to all its burners (participants of the festival). Mr. Garett started with the to-do list of 200 initial inputs from the founders and began to put his efforts to cover as many as he could. He sketched the semi-circle with the wooden man sculpture in the center and other radial roads around it, after this, everything fell into place. This festival has been successfully gathering artists, free-spirits, architects and self-expressive individuals every passing year. In a recent 2017 event, there were around 70,000 people from all over the globe. The architecture is a form of art and architect is a creator. Some of the interesting sights below were displayed at the event showcase the intelligence and the creativity of the architect. 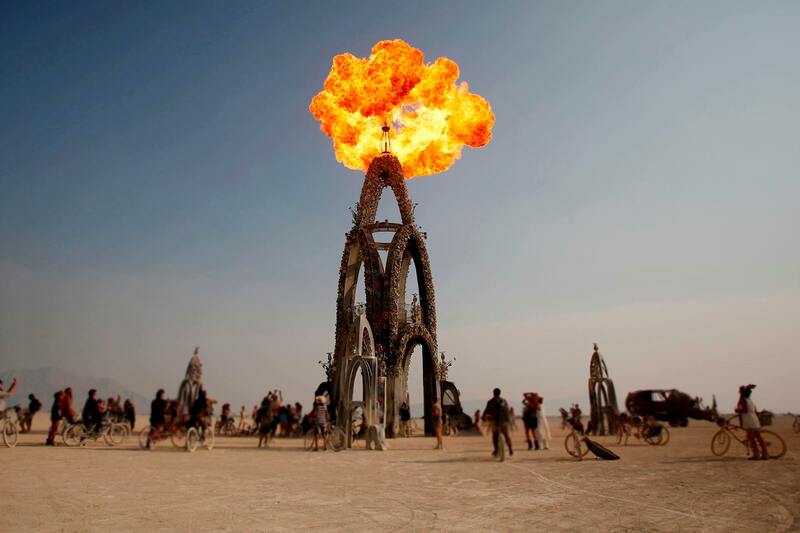 Flames shoot from the Flower Tower in the Black Rock Desert. An interesting mix of flower tower and fire. 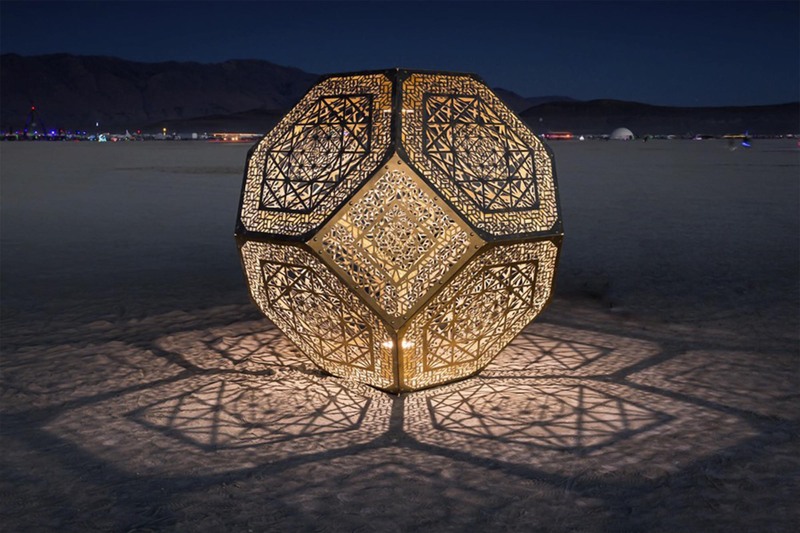 Hyperspace Bypass Construction Zone is a series of polyhedral installations that investigate geometry through light, shadow, and perception. 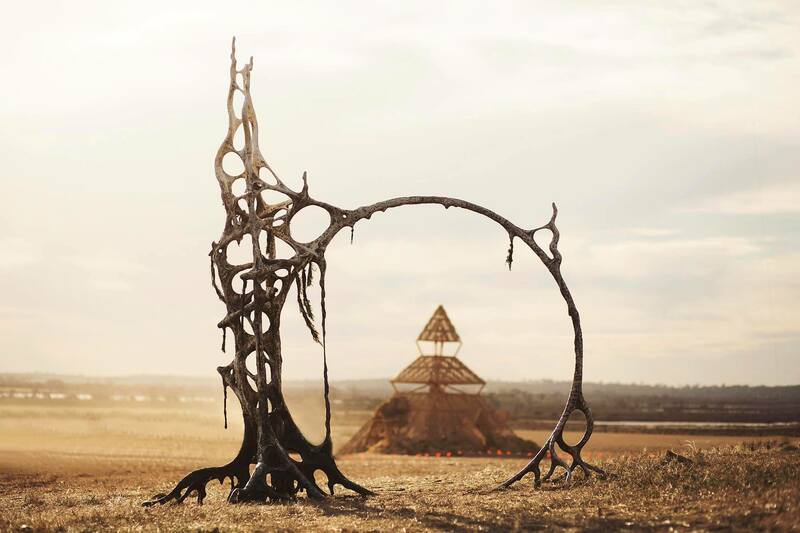 The Blazing Swan Temple viewed through the circular portal sculpture. Some of the greatest architects were an artist first. One needs to understand the fine arts before getting into building design and drawings. We, at BluEnt, work with the highly skilled focused architects and architectural designers who never hesitate to recommend the best ideas and rendering designs. Reach out to us for more.